Alminas is an Assistant Professor of Finance at the Hong Kong University of Science and Technology (HKUST). His research focuses on corporate governance, innovation, family firms, and other corporate finance topics. 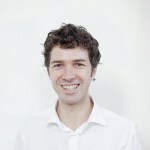 Prior to joining HKUST in 2013, Alminas has been working on his PhD at INSEAD in France. He also holds MSc degree from the London School of Economics and BSc from Stockholm School of Economics in Riga. Alminas is a co-founder of Lithuanian Chamber of Commerce in Hong Kong, a non-profit organization that helps Lithuanian businesses to foster links with Hong Kong market.